Channel polished microfiber covers the Smithee Collection. 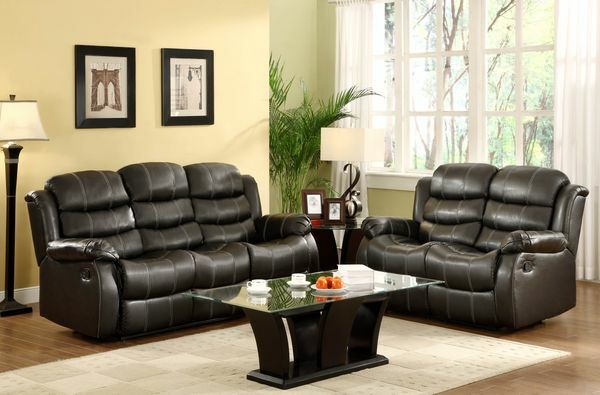 The transitional style is appropriate in a number of casual living room settings. Overstuffed for your comfort, the seating group features a quick release reclining mechanism that stretches to provide you a relaxing experience. Also available in black or brown bonded leather match.